As the name suggests, SMS (short message services) allows creating awareness of your business with minimum information. Bulk SMS is one of the easiest ways to connect with your audience in bulk by putting minimum efforts. It helps to promote your services or products by sending constant alerts and notifications without losing among under the inbox spam. According to the recent reports, open rates of SMS are as much as high (98%) and has a 45% response rate. With this report, we can conclude that mobile SMS is a more powerful tool than e-mail messages for generating online traffic. Bulk SMS ensures that your messages are read and can be used as a source to generate traffic whenever your customer shows interest over it. An innovative bulk SMS campaigns could be created with the help of e-mail messages which are responsive and quick in action. Below some advantages of bulk SMS marketing is discussed which helps to understand the need for this concept in business. One of the most primary benefits of bulk SMS for companies is to choose the customer profile easily. 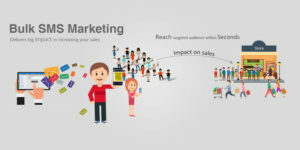 If you need to target specific customers, you can approach the service providers who have the details of customers and can reach the destination in one go. 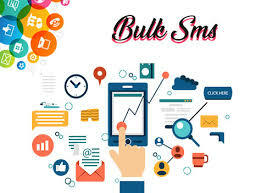 For the desired result, you must have to connect with the right bulk SMS provider. The success of any marketing methods depends on the concept of a non-intrusive approach in business strategies. A marketing calls in wrong time could lead to a negative impact of a company or a brand on their audience. So, most companies prefer bulk SMS over the telephonic approach for their business growth. It is quite obvious that any SMS is directly hit the phone of the users the reflects the surety of exposing your services to the particular customer. If customers find the SMS is informative and genuine, they definitely would take action which leads to healthy business growth. Due to this, the business of the bulk SMS provider in India is more considerable over the other business approaches. Only need to contact with the right service provider. With rising the necessity of business promotion, marketing through bulk SMS meets the need of today’s business strategy. Apart from sending bulk messages containing the information of business services or products, other interesting features of text messaging includes password alert, service messages, delivery status, verification codes and many more that help to be in touch with users. The high level of interaction through messages make sure that SMS marketing will be useful for the business requirement on the long go. If still, you are not connected with any bulk SMS provider, then the right time is here.